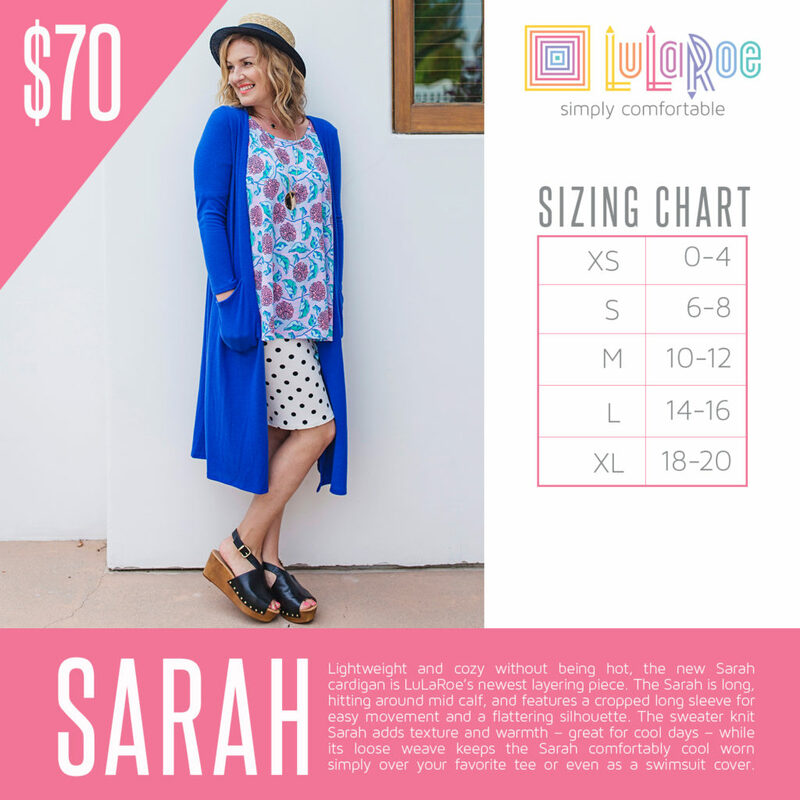 Lightweight and cozy without being hot, the new Sarah cardigan is LuLaRoe’s newest layering piece. The Sarah is long, hitting around mid calf, and features a cropped long sleeve for easy movement and a flattering silhouette. The sweater knit Sarah adds texture and warmth – great for cool days – while its loose weave keeps the Sarah comfortably cool worn simply over your favorite tee or even as a swimsuit cover. 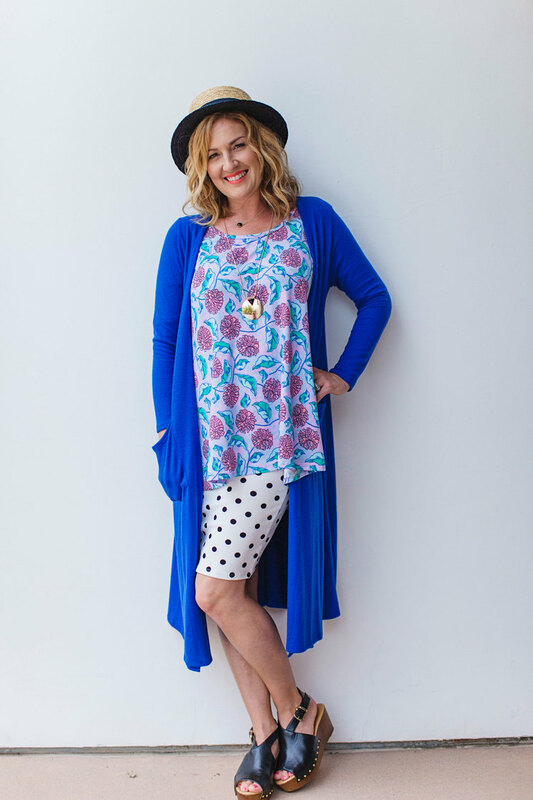 Versatile and immensely comfortable, the Sarah is sure to become an instant fave.